Construction sites, even small-site home renovation projects, are dangerous by nature. When reasonable safety measures are not taken, the potential for accidents greatly increases. Yet people routinely do not take safety measures necessary to keep construction sites safe. If you are injured on the job, you have rights under New Jersey’s workers’ compensation laws. If the injury was not purposefully caused, your medical bills and a percentage of your lost wages will be covered. If you use workers’ compensation, you are not allowed to sue your employer for negligence. If you are injured because of a third party, you may need to bring legal action outside of workers’ compensation. If you need a knowledgeable and effective legal team to represent your interests, contact Tomes & Hanratty, P.C. Investigating cases like these can involve hiring experts to review the accident scene to determine whether adequate safety measures were taken. We also regularly retain experts who have worked for the Occupational and Safety Health Administration (OSHA), as well as others, to build strong cases for our clients. If you are injured on the job, your immediate medical bills will be covered by workers’ compensation. In addition, a percentage of your lost wages will be paid through your employer’s insurance policy. When you file for workers’ compensation, you cannot sue your employer for negligence. If the insurance company disputes the severity of your injuries or disputes a payout, you need an experienced law firm to fight for your rights and future. 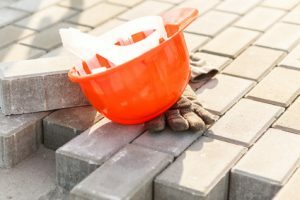 If your injuries were caused by the negligence of a third-party, including a property owner, provider or safety equipment, or another entity, you may be able to sue them for damages stemming from their negligence. If you sue a third-party after a workers’ compensation claim, you may be obligated to pay back some or all of the coverage you were provided. Your recovery could be subject to a workers’ compensation lien. When facing a third-party lawsuit, contact our law firm to represent your interests in court. If you are injured in a construction accident, you have a lot to consider about your future. You may have complications dealing with your workers’ compensation insurance. They want to limit the payout as much as possible and may dispute the severity of your injury or the need for extended support. If you are injured by a third party, you may need to take legal action. Whatever the case, always consult with an attorney. If you need our effective legal support, contact Tomes & Hanratty, P.C. for a consultation.